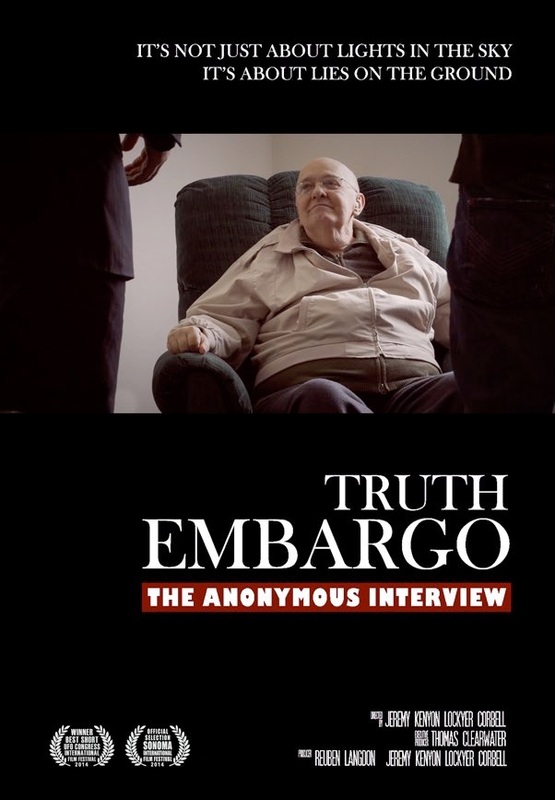 TRUTH EMBARGO: THE ANONYMOUS INTERVIEW (21 min 56 sec) is a film by award winning director Jeremy Kenyon Lockyer Corbell. This motion picure is an exploration into the witness testimony of a highly controversial alleged ex-CIA operative who claims, through his military and intelligence career, to have been exposed to realities and technologies of an Extraterrestrial nature. This “deathbed confession” was featured as witness testimony at the Citizens Hearing on Disclosure at the National Press Club in Washington DC last year, and has caused hot debate within the intelligence and UFO communities.